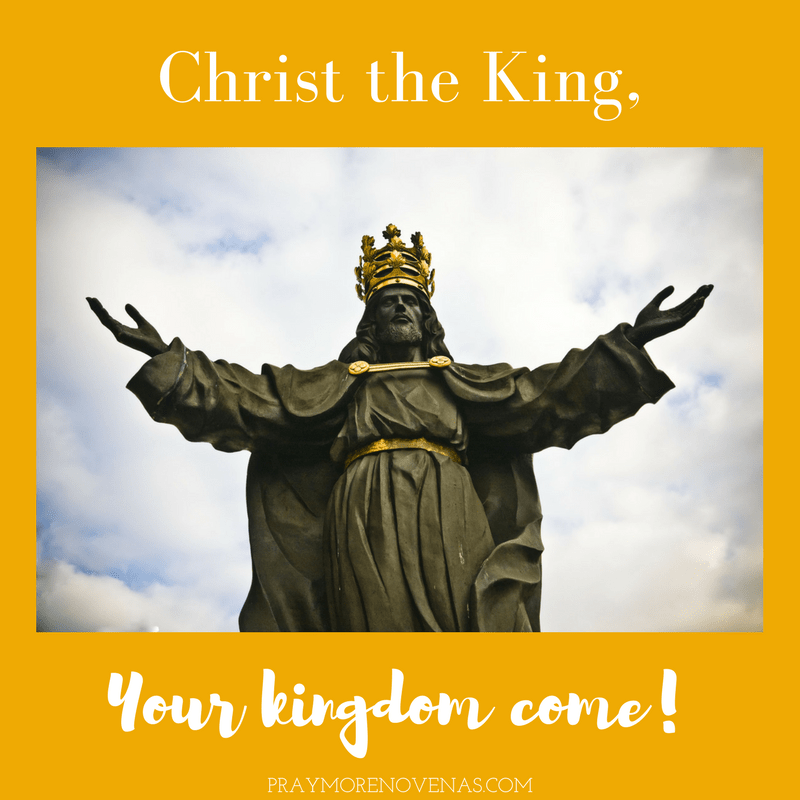 Here’s Day 2 of the Christ the King Novena! I pray for baby Emily that she recovers from her surgery and is healed by your love, Jesus. I pray for my friend, Maureen who is battling cancer. I pray for my friend, Jim fighting from the results of his disease. Please bless him with the acceptance of a clinical trial and for the medicine and not a placebo! I pray for my brother who needs mental healing. And for my family for healing from the loss of my mom. I pray Dear Lord, please bring my nephew, Lorenzo and his wife, Cassie back to the Catholic Church/Faith. Please bless their marriage to be long, happy, healthy and happy. I pray for Gee, circle your angels around her and protect her from all evil. Give Gee and me peace. A more selfish prayer, touch Lorenzo and Cassie hearts and let make more time for visits and calls for family back home.